I'm a psychologist and a psychotherapist. I graduated the Department of Psychology and Pedagogy at the Silesian University in Katowice where I specialized in clinical and forensic psychology. I work with individuals and groups (adults) in psychodynamic approach. 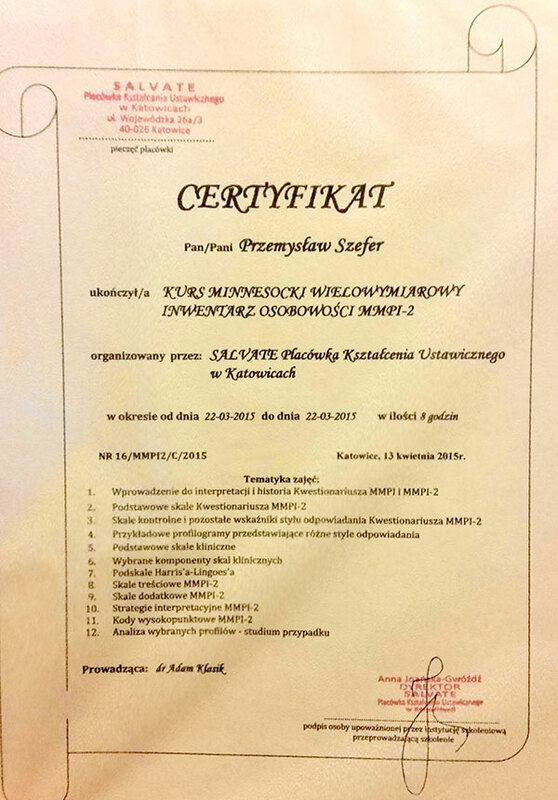 I currently improve my skills and rise competence in Krakowskie Centrum Psychodynamiczne (Krakow Psychodynamic Centre) where I also regularly supervise my work. In my work I value above all the Patient Welfare and the Therapist-Patient Relationship. I currently work at the Centre of Psychiatry in Katowice at the Psychiatric Ward IV for treatment of Affective and Neurotic Disorders where I co-lead a short term psychodynamic psychotherapy for patients with neurotic, adaptive and eating disorders as well as personality disorders. During my work and education I gained knowledge and skills in fields of psychological diagnosis, interpretation of psychological tests and psychological support. 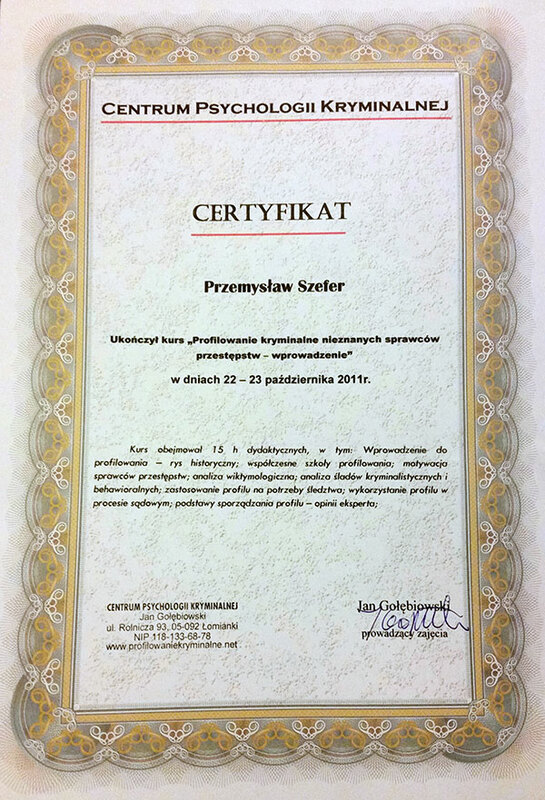 In my work I value above all the Patient Welfare (in that regard I follow norms and standards set by The Code of Ethics for Members of the Polish Society for Psychodynamic Psychotherapy and The Code of Professional Ethics for Psychologist) and the Therapist-Patient Relationship.